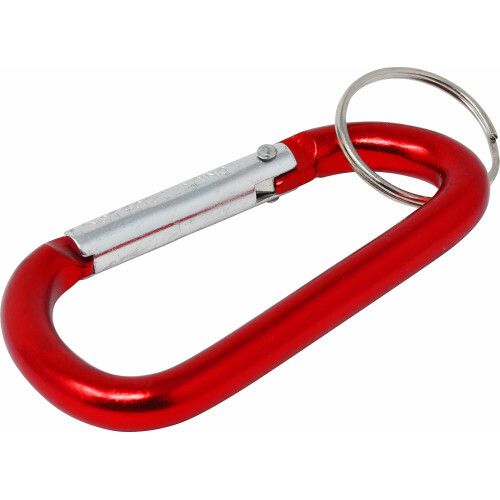 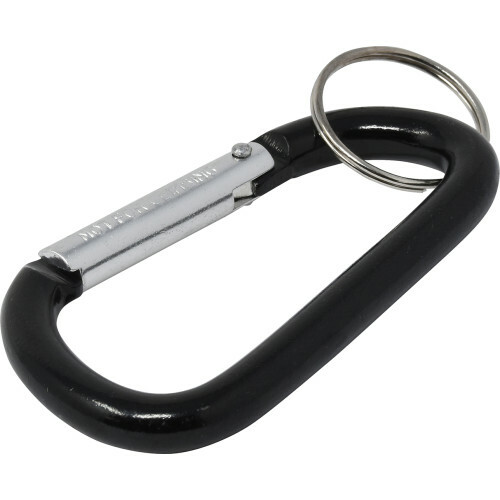 The Hillman Carabiner with key ring features a spring loaded clip for easy open and close action. 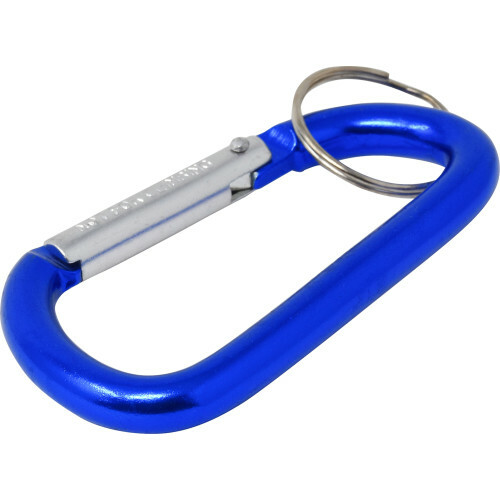 Includes a 1" split ring for keys and other accessories. 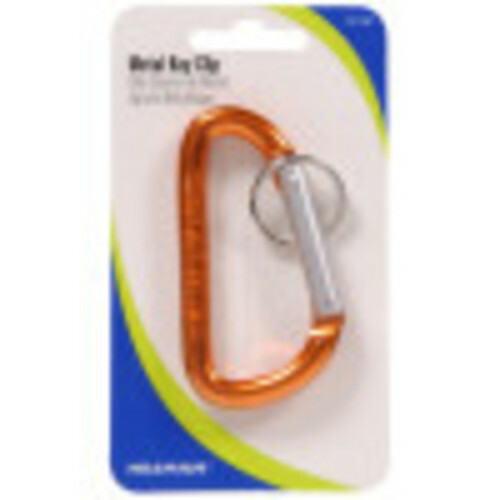 Attaches to belt, purse, sport bag, backpack, etc. Constructed of anodized aluminum in assorted colors. NOT FOR CLIMBING.